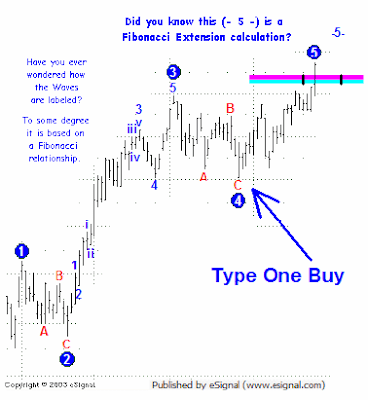 We start with the price distance of each wave.To be able to able to apply successfully Fibonacci Extension calculation we need to review this basic wave labeling relationship with price. 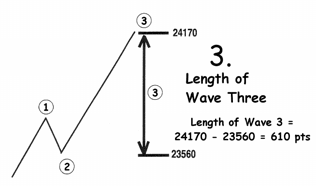 The price distance of each wave is measured as a vertical distance from the begining of the wave to the end of the wave.The length is measured in price points or units. Length of wave 1 and 2…. We start with the price distance of each wave.To be able to apply successfully Fibonacco Extension calculation we need to review this basic wave labeling relationship with price. 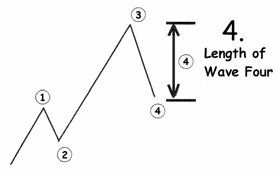 The price distance of each wave is measured as a vertical distance fron the begining of the wave to the end of the wave.The length is measured in price points or units. Now before we start on how to calculate a Fibonacci Extension’s acually are,How does it relate to Elliott wave theory…..
Fibonacco ratios are mathematical ratios derived from tshe Fibonacci sequence.The Fibonacci sequence is the work of leonardo Fibnacci,circa 11so ACE.The Fibonocci sequence is used in many applications,including engineering,space studies,stock market actions, and many other fields. 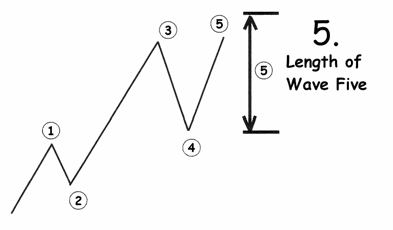 Fibonacci is a priven approach for measure price movement relationships.for Elliott Wave theorists,it means Fibonacci numbers are tools to help guide us in our interpretation where we think price movements will go,based on human’fear and greed’actions,reactions,or overreactions factors. There are other numbers but these are the ones we tend to focus on for defining at least the short-term wave patterns. Hove you ever wondered why wave counts are labeled when and were?Do you wonder the same about wave projections? Courtesy Copyright The Advanced GET Trading Strategies .This content copyrights protected By Marc Rinehart.